I'm trying to keep up with social media but I feel like when I was a kid playing with my chemistry set and mixing solutions until something blew up. My author page at Goodreads is here, and if all goes well this post will be funneled to my blog there via rss feed, then forwarded to the Pentagon for review before it zings back to me along with a pepperoni pizza. 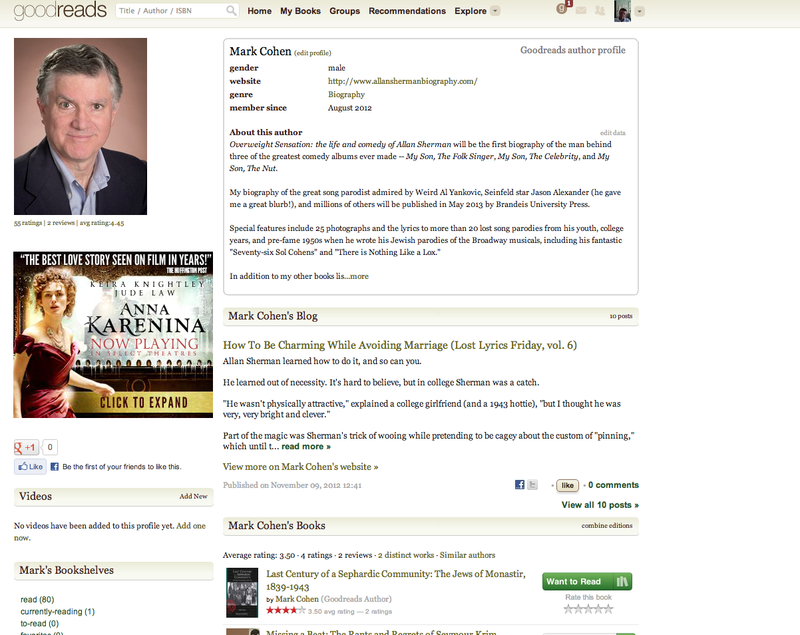 And to go really self-referential meta on you, here's a screen shot of my Goodreads page just before I save this page. Amazon warns it might take up to 24 hours for this post to show up there, during which time I imagine Jeff Bezos scans it for tell-tale signs of my consumer habits reading habits eating habits digestion and evacuation driving habits grooming failures and psychic tremors. I'm going to hit save. Take cover. Doesn't have the same ring to it as when John Belushi in Animal House screams, "Food fight!" but such are the more sober satisfactions of middle-age. My first bookings are a ways off yet, but here's the latest. May 30 - June 1 - Book Expo in New York. Not a public book reading. At this industry event Brandies University Press will showcase Overweight Sensation as one of its featured titles. Pretty neat. 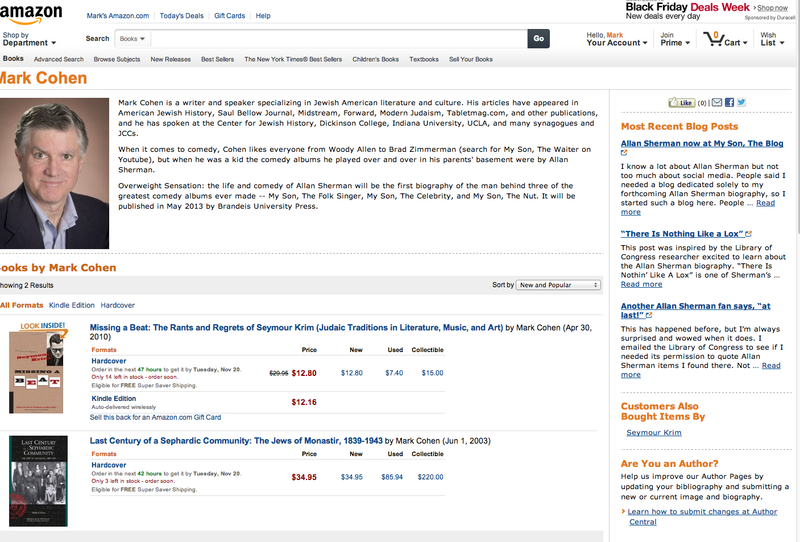 June 2-4 - Jewish Book Council Conference, New York. Wonderful opportunity to present my book to representatives of the more than 100 Jewish book festivals that take place across the country each year. More as more is available. 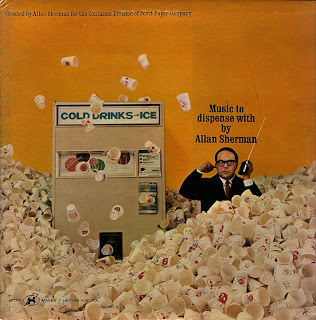 Allan Sherman learned how to do it, and so can you. He learned out of necessity. It's hard to believe, but in college Sherman was a catch. "He wasn't physically attractive," explained a college girlfriend (and a 1943 hottie), "but I thought he was very, very bright and clever." But can't you get a pin from my fraternity brother? This letter from the Kennedy White House to Allan Sherman is part of Obama's story. When the first Catholic president was happy to admit enjoying Sherman's Jewish comedy it was a very small but important step toward today's multicultural Democratic party. 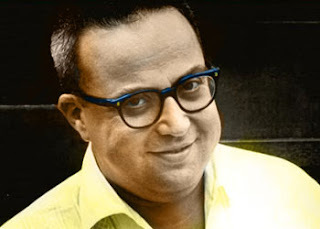 What Republican president or candidate can you imagine enjoying Allan Sherman? Tomorrow night while watching your guy win or lose, whoop it up or vent with the world's greatest negative campaign song. Play Sherman's "You Went the Wrong Way Old King Louie" and sing along. It works no matter who you're against. Nostalgic for a simpler time? We've got the cure right here. Hey, I'm an Allan Sherman fan. I wrote his biography. But nobody today could stand this kind of sentimental political song from a 1964 fundraiser for President Lyndon B. Johnson. Click here for the antidote. If you want to quibble, you can argue that in "Shake Hands With Your Uncle Max" the name Tidelbaum is obviously wrong. But other than that and other corrections that only an impossible noodge would make, this Allan Sherman page lets you click the names of his eight original Warner Bros. albums and find the lyrics to every song. Compiled by Jeff Morris and his friends, the site is insanely comprehensive, including images of both sides of the label of the never released recording of Sherman's short-lived 1969 Broadway musical, The Fig Leaves Are Falling. Also, there's the cover of the promotional album Sherman recorded for the Scott Paper Company. Nobody else has this stuff. "It was laugh, laugh at the Stunt show last night with Al Copelon '45." That was the lead in the University of Illinois' Daily Illini paper on October 11, 1942. Sherman, then known for a brief time as Copelon (don't ask), had the night before performed what appears to be his first full-length song parody. To the tune of "Won't You Come Home Bill Bailey" he sang "Don't Burn Down Bidwell's," a parody about the student watering hole and make-out spot. But, please, boys, don’t burn down Bidwell’s! You can burn it till it flames like hell! So don’t burn Bidwell’s down! 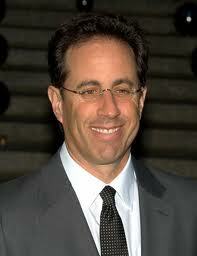 I know, I know -- everyone wants to grab a little of the Seinfeld show glow and bend it in their direction. But with Allan Sherman, the glow turns in his direction naturally. First, Seinfeld star Jason Alexander offered a terrific blurb for my book praising Allan Sherman as a "brilliant wit, satirist beyond compare." Thank you again Jason Alexander. Then there was Jerry Seinfeld and friend Joel Hodgson talking here about Sherman on Comedians in Cars Getting Coffee. And here is Sherman singing the same song, which appeared on his first album, My Son, The Folk Singer. Anything out there confirming either Michael Richards (Kramer) or Julia Louis-Dreyfus (Elaine) as fans? That's the headline on this internal Warner Bros. Records newsletter. It was October 31, 1962, and the sales numbers were in on My Son, The Folk Singer. The next page boasts that it "took [Bob] Newhart 23 and a half weeks to go over 300,000 (309,452); 36 weeks to go over 400,000 (412,000). 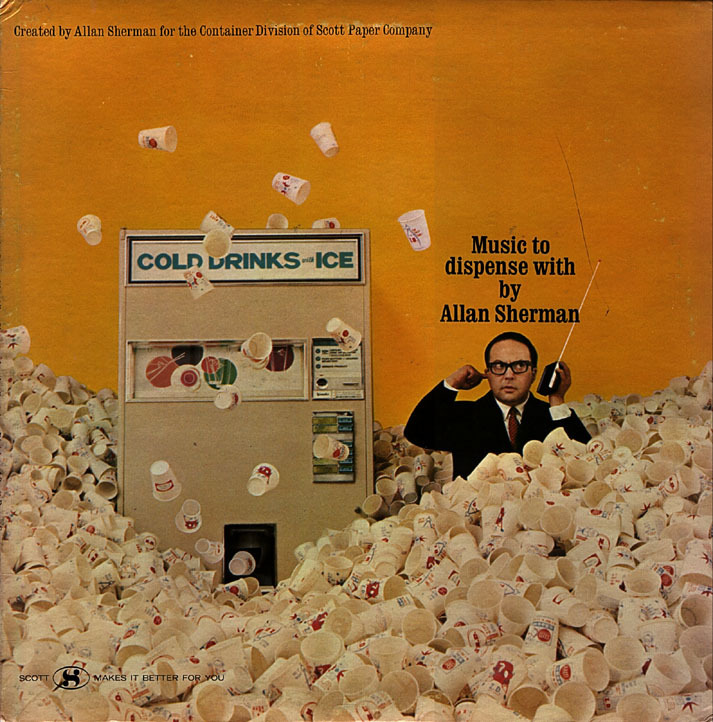 It took Allan Sherman three weeks and one day to go over 390,000!" The newsletter anticipated that the record's sales would double by the end of '62. They did better than that. Sales hit 1 million in December. "The Ballad of Harry Lewis" was the first song on side one. 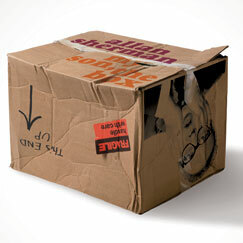 Another day, another Allan Sherman 50th anniversary. This one is the 50th anniversary of the apology the president of Warner Bros. Records ran in Cash Box magazine on October 27, 1962. The company hadn't issued enough copies of My Son, The Folk Singer. You've seen the fan letter Sherman got from President Kennedy's chairman of the Federal Communications Commission, Newton N. Minow. Keep in mind it was written on October 26, 1962, a very dicey moment during the Cuban Missile Crisis. That's worth some reflection, so let's take a moment. An op-ed in today's NYTimes states that, "On Oct. 26-27, 1962, human civilization came close to being destroyed. Schoolchildren were ordered into shelters; supermarket shelves were emptied of soup cans and bottled water." But food and water weren't all that people hoarded. They stocked up on laughs, too. There was a run on Allan Sherman albums. Sherman predicted this when he was 13 years old. In June 1938 at Burroughs Junior High he wrote a short article called "Humor For Sale." It imagines a comedy department store that "would be the busiest store in the world. That is because people love to laugh." As the old Barney's television commercial used to say, "Even then, he knew." Sherman was fascinated by nursery rhymes, lullabies, and other children's songs. It started in junior high with his parody of "Humpty Dumpty," and he was still at it in college at the University of Illinois. In the spring of 1944, Sherman wrote and starred in a hit student musical called Mirth of a Nation, a farce set during the twelfth Roosevelt administration. It won raves in the student Daily Illini and also the alumni monthly. Mirth's "gags were better than most we've heard on the professional stage this year." His parody of the Mother Goose rhyme "Pussycat, pussycat, where have you been" pokes fun at Eleanor Roosevelt and her hectic travel schedule, which earned her the nickname Rover. It's a clever piece of work and has a wonderful sense of fun about it, a joyous freedom to fool around with words and make them do tricks. Eleanor, Eleanor, where have you been? I've been to more places than you've ever seen! Eleanor, Eleanor, why did you go? Sometimes with Winston and sometimes with Joe! 'Cause hasn't a lady the right to go out? For my newspaper seria, which is known as MY DAY! Who loves Israel more, Obama or Romney? Search me. I half expected the question, "Where would you take Israel on a dream date?" Or Obama and Romney having to answer what each would do if Israel suggested driving out to a romantic spot where the two could get to know each other better. Both, no doubt, would still respect her in the morning. Being immersed in the very early 1960s moment that saw the rise of Allan Sherman offers a nice perspective on how much things have changed. At UCLA's Film and Television Archive I watched a March 25, 1962, video of Jackie Mason performing on the Ed Sullivan Show. He did a series of tax season jokes. President Kennedy hosted a lunch for 300 at New York's Waldorf Astoria hotel that cost $15,000 (the dollar went a little further then). Mason said, "My bar mitzvah didn't cost that much." It got a big laugh. But the next joke proved that fifty years ago many Americans were unfamiliar with Israel. Mason criticized Kennedy for having Egypt's Abdul Nasser to the White House. "Let him invite Ben Gurion," said Mason. "I'll be glad to pay for it." Sherman did not take Mason's approach. Sherman was interested in American Jewish life and its manners, pretensions, hypocrisies, and kookiness, not Israel. In fact, he lampooned American Jews' schmaltzy love affair with the Jewish state. On his second album, My Son, The Celebrity, released in December 1962, Sherman dished out to "Hava Nagilah" the same treatment he gave to American folk songs. He parodied it as a sentimental indulgence, what Saul Bellow in Herzog called "potato love. Amorphous, swelling, hungry, indiscriminate, cowardly potato love." Sherman turned "Hava Nagilah" into "Harvey and Sheila," the story of an American Jewish couple that travel to Europe, not Israel. I don't think either the Jackie Mason or "Harvey and Sheila" scenario would happen today. Now it seems every American knows the name of Israel's prime minister, and among American Jews Israel has become such a deadly earnest issue that parodying an Israeli folk song seems off limits. Fifty years have passed, but have we moved forward or back? It's been a big week for Allan Sherman's lost lyrics. There are two song lyrics here, one here, and a really good one here. But it is hard to top "The Night That Leon Trotsky Died," Sherman's parody of the Irish drinking song, "The Night That Paddy Murphy Died." On the off-chance you don't know the tune, here it is. 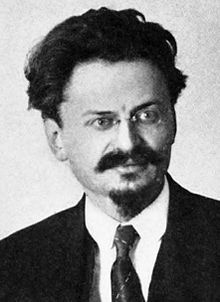 Without checking around, I feel it is safe to say there isn't much comedy about the Russian-Jewish revolutionary Leon Trotsky, never mind his assassination in 1940. Sherman's parody defies classification, except that it clarifies his delight in absurdity. Sherman loved wonderful silliness. He wrote the parody at the University of Illinois, probably during the 1944-45 academic year. It was never written down anywhere, and I was very lucky to learn of it from comic actor Arte Johnson, most famous for his role on the television show Laugh-In. Johnson knew Sherman at Illinois. "We all dressed up as Russians and came up through the audience" at a fraternity stunt show, said Johnson. "People screamed because we were so wacky." Johnson sang this to me. Thank you, Arte Johnson. On the night that Leon Trotsky died. While idly dreaming of massive press coverage for Overweight Sensation, something on the order of the fall of the Berlin Wall -- because, as my grandmother used to say, "El que quiere poco es loco." He who desires little is crazy. As long as you're desiring, might as well go big -- I less idly decided to produce material for journalists (there are still journalists, right?) that might need a local angle. So a news outlet in Los Angeles might want to know that Sherman attended John Burroughs Junior High School and published his first Jewish song parody in the school's 1938 senior class BURR, and that Sherman then attended Fairfax High School and wrote a student newspaper humor column there called "Witz-Krieg." Of course, it would be helpful to know that until his last year of high school Sherman was known as Allan Segal, and it might add a little color to the story that Sherman's step-father, Dave Segal, was a con man and criminal once arrested in Beverly Hills for passing bad checks. Sherman left LA in the fall of 1941 for college at the U. of Illinois and then New York and did not return until early '61. Dave Segal traveled to LA at about the same time. Sherman was producer for a TV show called Your Surprise Package. Segal, with the police knocking on his cheap motel door, put a pistol in his mouth and blew his brains out. At this point in my daydream the reporter demands his editor grant a longer word count. Then there's Sherman and his family living in rented luxury on North Saltair Avenue, where he meets and befriends neighbor Harpo Marx. Sherman sings Jewish parodies of Broadway show tunes for Harpo and Harpo's friends Jack Benny, George Burns and other comedy machers from Hillcrest Country Club. They heard "Ollawood!" sung to the tune of "Camelot." In 1961, he also performs a crude and obscene crowd-pleaser at the retirement party for Warner Bros. Records president Jim Conkling. I found the lost recording. And boy was it lost. I mean gone. But I found it. However, it can't be quoted in newspapers, or almost anywhere else. It's too dirty. So it's not important, except the song is how Sherman first met the top folks at Warner Bros., his future label. The rest of the story my journalist already knows. You talk Brooklynese, saying "dese" and "dems" and "dose"
You're a Rolls-Royce dealer, you're the Wonder Wheel, you're vintage clothes! Naturally, that reminded me of Sherman's Jewish parody of the great song. "You're the Top" was a number in Porter's 1934 musical Anything Goes, and parodies appeared almost right away. Irving Berlin wrote a bawdy parody with the fantastic line, "You're the burning heat of a bridal suite in use." The parody gets funnier as it gets dirtier and you can read it here. In the 1950s, Allan Sherman began writing and performing for friends in Westchester, New York, his parodies of Broadway show tunes, a project he called "Goldeneh Moments From Broadway." I've discovered a lot of lost recordings of Sherman singing these songs, but never one of him singing his parody of "You're the Top." Here's a good version of the original "You're the Top"
I see that I'm taking a chronological approach to Sherman's lost parodies, which seems reasonable. The first one last week was his Jewish parody of the Humpty Dumpty rhyme, and this one is from his senior year at Los Angeles' Fairfax High School, which in 1940-41 occupied beautiful buildings and grounds that are no more. In the fall of 1940, the Fairfax student newspaper, the Colonial Gazette, ran Sherman's new humor column, "Witz-Krieg." The title was a terrific pun that threatened a comic bombardment, and that is exactly what Sherman delivered. Sherman in the spring of 1940. Courtesy of Nancy Sherman. Has never read "The Education of Hyman Kaplan." Should be brought to the public's attention. You ought to be as disgusted as I am with American humor, including the musical comebody. This is an early cry for cultural diversity. The problem with American humor is that it is not Jewish enough. Chaplin's crime is not reading The Education of Hyman Kaplan, Leo Rosten's 1937 novel about a Jewish immigrant's comic determination to resist the tyranny of proper English. The book celebrates Kaplan's broken English, delivered in a heavy Yiddish accent. Sherman demands that this problem "be brought to the public's attention." He was talking to himself. He had found his comic calling. There is a lot of Barbra Streisand coverage lately with a new biography and in advance of her first ever concerts on Thursday and Saturday in her old neighborhood of Brooklyn, but the best item out there is a video clip from a documentary about Streisand filmed 30 years ago. It captures (mainly Jewish) Brooklynites spouting off about the famous singer. You have got to see this. Watch it here now. The thing that hit me about the wonderfully brash, unapologetic people in the video is the lifelong impact it leaves on anyone raised among them. I mean, you can't shake that off. So the question is, what do you do with such an inheritance? One route is visible in one of the most remarkable performances I've ever seen. In a 1963 street fightin' rendition of "Cry Me A River," Streisand tapped her Brooklyn roots to deliver a snarling taunting vicious "C'mon, c'mon/Cry me a river" moment about three minutes into that song that literally gives me goose bumps. She is frightening. To use today's lingo, it is gangster. Watch it from the beginning and don't worry that I've already spoiled it for you. It will knock you out. Sherman, of course, went in the other direction with an absurd humor that put all those people in the Streisand documentary, complete with their classic accents, into songs previously known for their sweetness, such as his first big hit, the 1962 "Frere Jacques" parody "Sarah Jackman." In its very different way, it also knocked people out in 1962-63. In place of the French lullaby lyrics that were incomprehensible to Sherman's audience was a language they knew well. Can there be such a thing as a charming obituary? If so, then it appeared in today's New York Times about Irving Cohen, who for decades worked as a maitre d' and served as matchmaker at the Concord Hotel in New York's Catskill Mountains. Because of my Sherman research, I read a number of NYT articles from 1963, and boy, have things changed. Fifty years ago, the Times managed to write a feature on Sherman that never mentioned the word Jewish. Today it reveled in it. The Times touted Cohen's "canny ability to seat just the right nice Jewish boy next to just the right nice Jewish girl." The difference is a revealing barometer between today's world and Sherman's. When the 1960s began, Jewishness was seen as "at best marginal or exotic and at worst grubby and rather shameful," remembered Norman Podhoretz. In songs like Sherman's 1962 "Shake Hands With Your Uncle Max" his unembarrassed Jewish comedy broke new ground. That was a nice wake-up call. About a month ago I had only just surfaced from my Allan Sherman research-and-writing cave when I heard about Jerry Seinfeld's new Internet series, Comedians in Cars Getting Coffee. I paid a visit and watched Seinfeld's fun conversation with friend Joel Hodgson, and then I also clicked on a Spare Parts segment with the two of them talking about Allan Sherman. Where the drapes of Roth are stored." I mean, does Sherman deserve a biography or what? 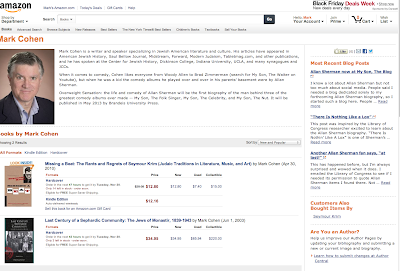 I thought so, and so did Brandeis University Press. 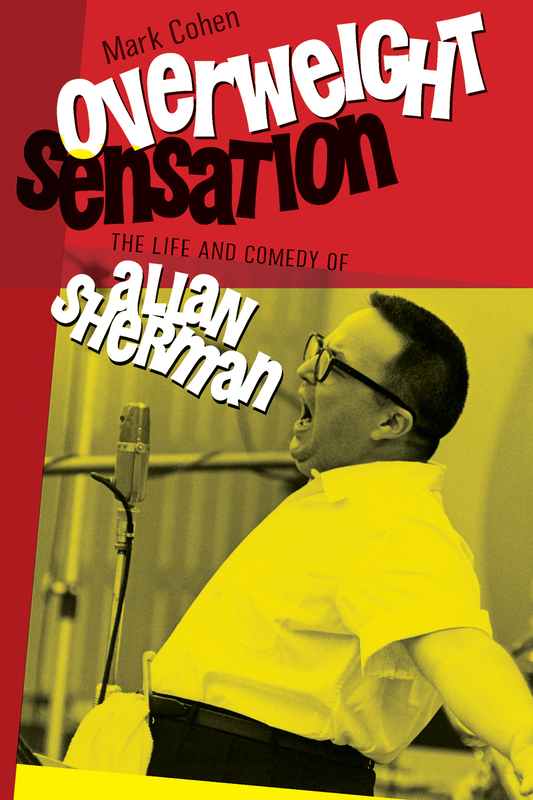 Overweight Sensation: the life and comedy of Allan Sherman will be published next spring. How's by you? How's by you?" Los Angeles disc jockeys Gary Owens at KPMC and Bob Crane at KNX both claimed to be the first in the country to play Allan Sherman's "Sarah Jackman," the hit song from Sherman's million-selling first album, My Son, The Folk Singer. But The Hollywood Reporter heard Crane play it on October 1, 1962, and that's what I'm going with. That makes today the 50th anniversary of the song and Sherman's appearance on the pop culture scene, and the beginning of a year of 50th anniversaries that culminates in the summer of 2013 with the 50th anniversary of "Hello Muddah, Hello Fadduh!" Sherman at a recording session, 1962-63. Courtesy of Robert Sherman. 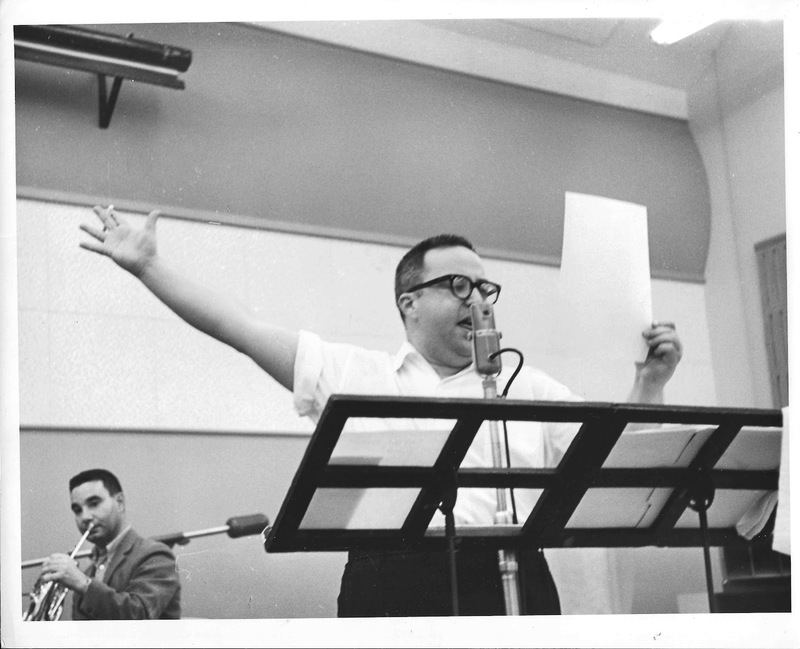 It was the start of an amazing year for Allan Sherman and the country. Both were shocked to discover that ethnic Jewish comedy could win fans among Jews and non-Jews, go mainstream, become a hit and make big money. My Son, the Folk Singer kicked open America's ethnic floodgates. Please follow this blog for updates on Sherman during this 50th anniversary year and the forthcoming biography, Overweight Sensation: the life and comedy of Allan Sherman.